Specialists in oven cleaning, carpet cleaning and general cleaning for domestic and commercial needs in Kent. We take on any job large or small from a small single oven to a large commercial contract. We also clean offices, schools, new builds, and hotels. Our mission is to offer a service like no one else, we are specialists in what we do, with a very high standard of working and offering a complete service of cleaning from ovens to full kitchens, carpets, or even a full end of tenancy clean. Our pricing we make as transparent as possible so there is never any confusion or unexpected costs. Professional cleaning services including Carpet Cleaning & Oven Cleaning in Kent. 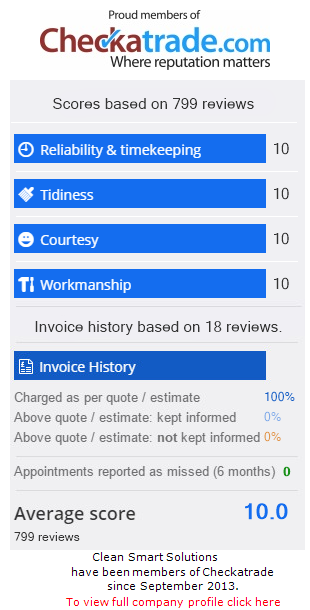 Customer service is the key to our business and we pride ourselves on making sure everyone of our customers are 100% happy with the services we provide.